The present study was conducted to investigate relationship between coping skills and social support among cancer patients. For this purpose, by incidental sampling, 50 cancer patients (24 males & 26 females, mean age = 50.8) were assessed on Coping Strategies Inventory by David Tobin and Multidimensional Scale of Perceived Social Support by Zimet et al. Mean perceived social support was 57.42. To assess its relationship with coping strategies, Pearson's Product Moment Correlation was run on the obtained data. Perceived social support was significantly correlated with problem focused engagement (0.47**), emotion focused engagement (0.41**), and emotion focused disengagement (-0.49**). As social support increases, problem focused engagement and emotion focused engagement also increases whereas, emotion focused disengagement decreases. Cancer, Coping Strategies, Perceived Social Support. Billings, A. G., &Moos,R. H. (1981). Therole of coping responses and social resources in attenuating the stress of life events. .Journal of Behavioral Medicine, 4, 139-157. Bloom, J.R. (1982). Social support, accommodation to stress and adjustment to breast cancQT. Social Science and Medicine,16, 1329-1338. Crispo, A., Brennan, P., Jockel, K.H., Schaflfath-Rosario, A., Wichmann, H.E., Nyberg, F., Simonato, L., Merletti, F., Forastiere, F., Boffetta, P., & Darby, S. (2004). The cumulative risk of lung cancer among current, ex-and never-smokers in European mQn. British Journal of Cancer, 91,1280-1286. Deane, K.A., &Degner, L.F. (1997). Determining the information needs of women after breast biopsy procedures. AORN Journal, 65(4), 767-776. Drageset, S.(2012) Psychological distress, coping and social support in diagnostic and preoperative phase of breast cancer University of Bergen. Holland, K.D., & Holahan, C.K. (2003). The relation of social support and coping to positive adaptation to breast cancer. Psychology and Health, 75(1), 15-29. Kawahara, M., Ushijima, S., Kamimori, T., Kodama, N., Ogawara, M., Matsui, K., Masuda, N., Takada, M., Sobue, T., & Fumse, K. (1998). Second primary tumours in more than 2-year disease-free survivors of small-cell lung cancer in Japan: The role of smoking cessation. British Journal of Cancer, 78,409-412. Lazarus, R. S., &Folkman, S. (1984). Stress, appraisal, a-nd coping. New York: Springer. Liao, M.N., Chen, M.F., Chen, S.C., & Chen, P.L. (2007). Healthcare and support needs of women with suspected breast cancer. Joumal of Advanced Nursing, 60(3), 289-298. Moyer, A., & Salovey, P. (1996). Psychosocial sequelae of breast cancer and its treatment. Annals of Behavioral Medicine, 18, 110-125. Odgen, J. (2007). Health psychology: A textbook (4thed). England: Open University Press. O'Mahony,M. (2001). Women's lived experience ofbreast biopsy: Aphenomenological study. .Journal ofClinical Nursing, 70(4), 512-520. Rudge, J.S., Thurston, G., Davis, S., Papadopoulos, N., Gale, N., Wiegand, S.J., & Yancopoulos, G.D. (2005). VEGF trap as anovel antoangiogenic treatment currently in clinical trials for cancer and eye diseases, and VelociGene-based discovery of the next generation of angiogenesis targets. Cold Spring Harbor Symposia on Quantitative Biology, 70,411-418. Ramanakumar, A.V., Balakrishna, Y., & Ramarao, G. (2005). 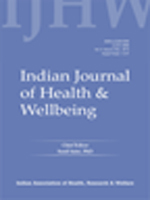 Coping mechanisms among long term survivors ofbreast and cervical cancers in Mumbai, India. Asian Pacific Journal of Cancer Prevention, 6,189-194. Saprah, L., & Sostaric, M. (2004). Psychological coping strategies in cancer patients. Radiology and Oncology, .35(1), 25-42. Tobin,D.L. (1984). User manual_for the coping strategies inventory. Athens,OH: Ohio University, Department ofPsychology. Wallston, B.S., Alagna, S.W., Devellis, B.M., & Devellis, R.F. (1983). Social support and physical illness. Health Psychology, 2, 367-391. Wherry, R.J. (1984). Contributions to co-relational analysis. New York: Academic Press. Woodward, V., & Webb, C. (2001). Women's anxieties surrounding breast disorders: A systematic review of the literature. .Journal of Advanced Nursing, 55(1), 29-41. Zabalegui, A., Sanchez, S., Sanchez, P.D., & Juando, C. (2005). Nursing and cancer support groups. Journal of Advanced Nursing, 51,369-381. Zimet, G.D., Powell, S.S., Farley, G.K., Werkman, S., & Berkoff, K.A. (1990). Psychometric characteristics of the multidimensional scale of perceived social support. .Journal of Personality Assessment, 55(3-4), 610-617. Zimet, G.D., Dalhem, N.W., Zimet, S.G., & Farely, G.K. (1988). The multi dimentional scale of perceived social support. Journal of Personality Assessment, 52, 30-41.